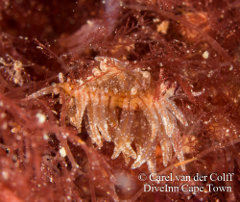 While the identification is not certain, this looks like Flabellina sp.2, as shown in Gosliners book. 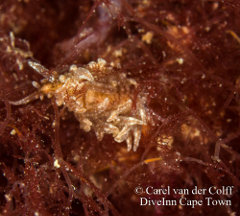 It has previously been found at Windmill Beach and Dassie Point. These photos come from deeper Long Beach. 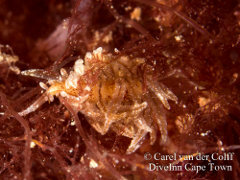 It feeds on hydroids.